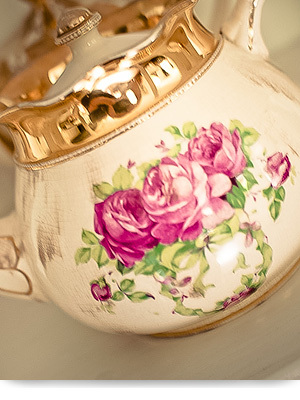 With our wide selection of vintage crockery and accessories The Tea Ladies can cater for all events both big and small. This can range from a romantic picnic for two to a stylish wedding with 150 guests. 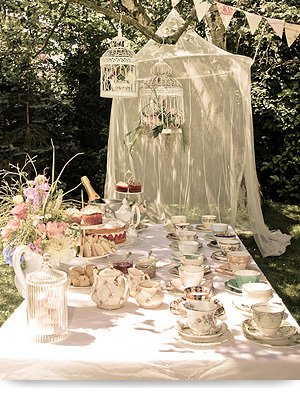 We also offer a selection of additional tea party essentials such as cutlery, glassware, bunting, tablecloths and vintage bird cages to complete the vintage look. For more details, please feel free to browse through our hire catalogue which can be downloaded as a PDF document. 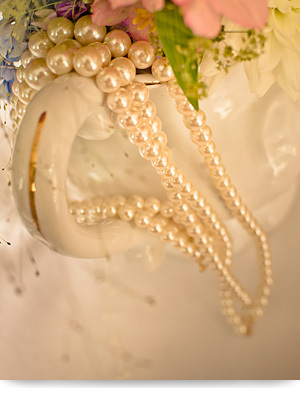 We offer a wide range of finished packages with a selection of handpicked crockery and decorative elements to give you the perfect candy bar or cake buffet with lots of vintage charm. Additional crockery elements and optional services such as catering, flowers & event styling can be arranged with us at an extra charge. In addition to this, we also offer various Afternoon Tea Packages with a very British feel to them and of course including lots of English specialties and treats. These include of course finger sandwiches, scones, cakes and a variety of well-known teas such as Assam, Earl Grey and the champagne of all teas – the Darjeeling. We can easily customise our catering offer to suit the style, location and group size (min. 10 persons) of your event. Attached below you will find an overview of our current packages (prices valid as of 13th October 2017). Please note that the packages are currently only available on our website in German. We apologise for any inconvenience caused. If you cannot find the perfect package to suit your needs amongst our wide offer, please get in touch with us directly and we will come up with the right package for you based on your exact wishes and requirements. And best of all - we even do the washing up, so that you can simply celebrate in style. Taking time out for tea with The Tea Ladies couldn’t be easier.